Best known for its annual Dickens festival during the winter holiday season, Deventer is a picturesque city located east of Apeldoorn with a rich literary history. Here you’ll find gorgeous architecture, great cafes, and a very old kettle with a blood-soaked past. Deventer’s history goes all the way back to the Dark Ages, and it’s one of the country’s oldest communities. Historians theorise that it was likely founded by the English missionary Lebuinus in the mid 8th century. He constructed a wooden church in the area that was later destroyed by the Saxons. Over a hundred years later, the fledgling village known as Deventer was hit by another major setback. This time, it was burnt to the ground by rampaging Vikings. It was quickly rebuilt, this time with a protective wall that was steadily improved during the centuries that followed. The city served as one of Europe’s most important centres for publishing in the 15th century after Richard Paffraet brought a printing press to town along with his partner Jacob van Breda. 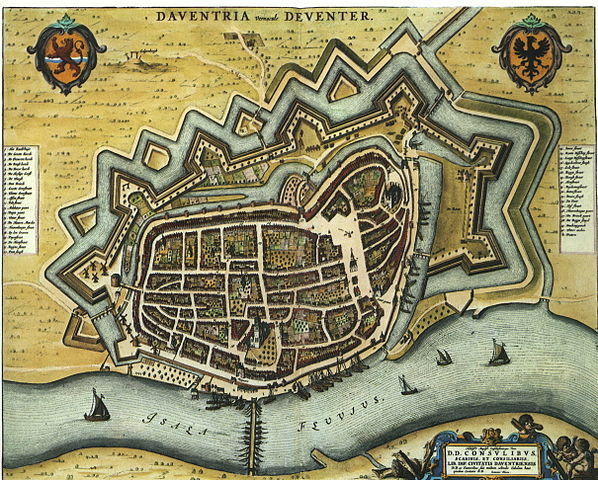 Folks came from all around to get a look at their first printed book in 1477, and Deventer was later nicknamed Drukkersstad (Printing City). The Industrial Age turned the city into a key centre of production and Deventer became known for its factories, which cranked out everything from bicycles to beds. It was hit hard by World War II, during which bombings decimated its port and industrial district. Deventer’s city centre and classic architecture was largely spared though. As a result, it stood in for Arnhem during a 1977 film production of A Bridge Too Far. Now, in the year 2019, locals and travellers alike enjoy its lovely downtown area, which is filled with unique eateries, shops, museums, and more. You can get an up close look at over a century’s worth of classic toys at the kid-friendly Speelgoedmuseum Deventer. Located inside two warehouses that date back to the medieval era, the museum features everything from dolls’ houses and mechanical elephants on bicycles to antique toy cars and rockets. Fans of train sets will enjoy the large display in the museum’s Train Hall that includes a track that goes through tunnels, past miniature houses and winds its way around a mountain landscape. Print may indeed be dead for many modern readers, but Deventer’s history as a mecca for printing presses and bookshops goes all the way back to the 15th century. It’s still home to several of the Netherlands’ largest publishing companies along with several literary festivals throughout the year, one of which is Europe’s largest annual book fair. 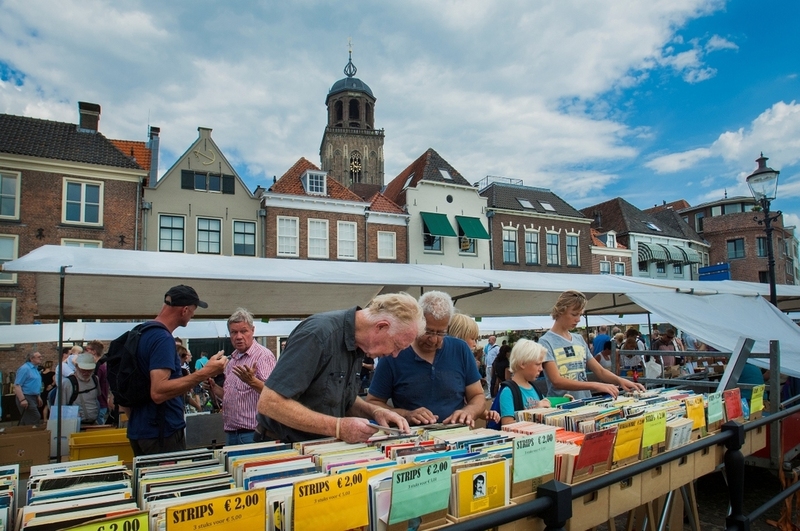 The 30th edition of Deventer Boeken is set for 4 August, 2019 and will once again feature thousands of books in 878 stalls that stretch over 6 kilometres. The fair is so large that the organisers publish an annual guide every July to help visitors navigate the sprawl. The city also has several shops that specialise in rare 1st editions and/or the latest page-turners. Praamstra Boekhandel is definitely a must-stop if you’re the sort of person who’d rather give up reading altogether than buy a Kindle. It’s one of the nation’s oldest bookstores, and it first opened its doors in 1893. Deventer’s city centre also offers a variety of other unique shops and cafes, many of them in buildings that date back to the 16th century. 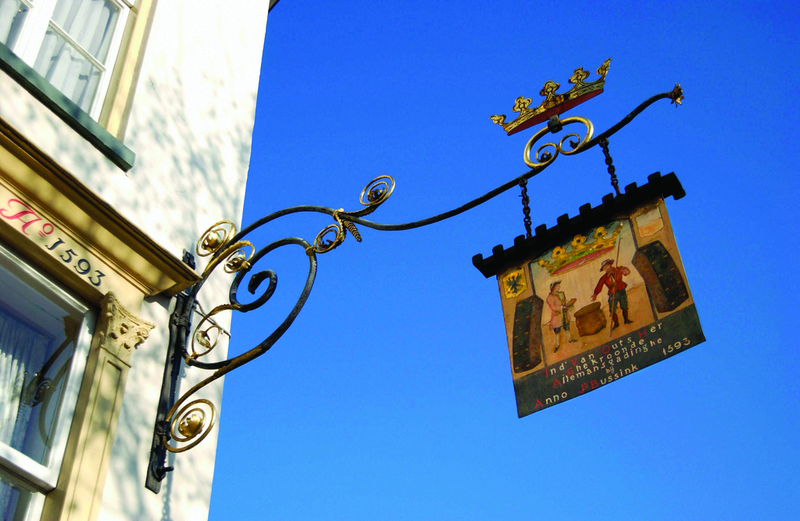 Hanseatic Museum De Leeuw is a small museum located in a storefront that dates back to 1645. 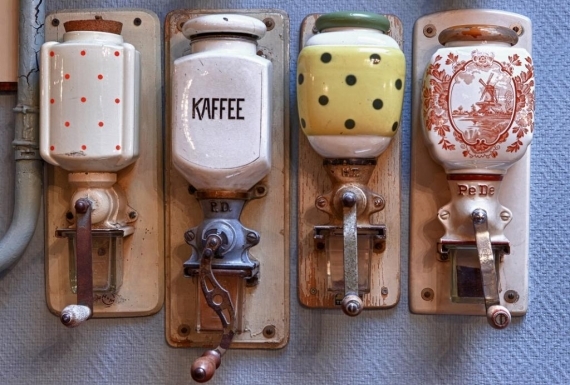 It houses a variety of unique kitchen items so you can browse centuries-old coffee grinders and candy containers. The real draw though is the sweet shop in the back. It features a restored interior from an old bakery in Nijmegen along with over 200 varieties of traditional Dutch candy. There’s also a small dining area that serves coffee, tea, and cake. Deventer is also home to the Buveburcht, the country’s oldest stone house and its oldest continually inhabited home. Located on the Sandrasteeg, one of its walls dates back to the 10th century and the rest isn’t much younger. The house is still privately owned and not open to the public but the exterior is worth a quick stop. 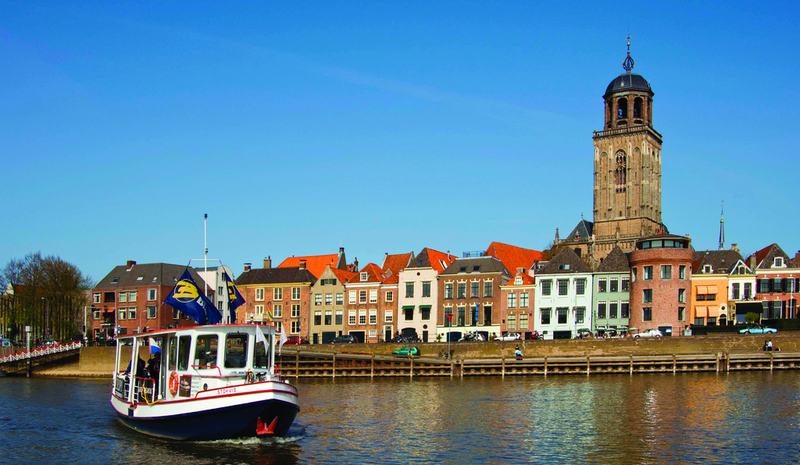 The Brink is a large public square in the centre of Deventer that’s home to Museum de Waag. The former weighing house was built in the 16th century and now contains exhibits devoted to the city’s industrial and trading history in addition to paintings and archaeological artifacts unearthed in the surrounding region. The museum also has a large copper kettle on display out front that’s over 500 years old. According to local lore, it was used in public executions during the Middle Ages. Counterfeiting was a big problem back then and convicted forgers were allegedly boiled alive in the kettle. Unimpressed, several of Napoleon’s troops used it for target practice in the early 1800s. The bullet holes are still visible. 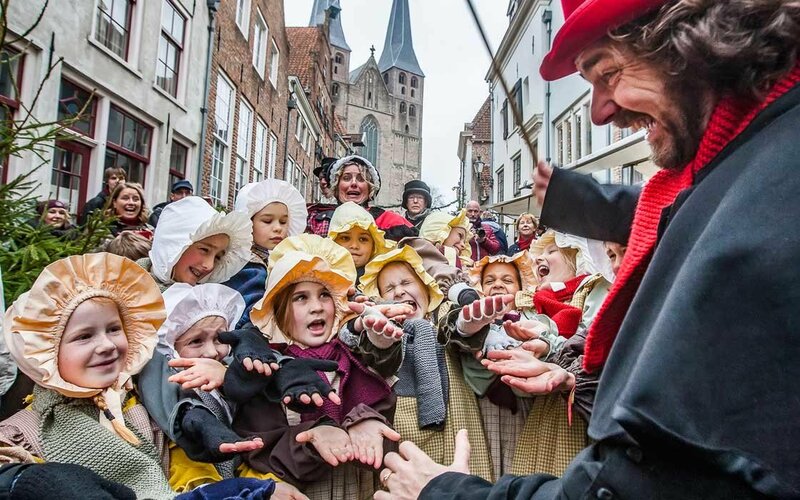 There are many Dickens festivals that you can attend all around Europe, but Deventer is home to one of the largest. The annual Dickens Festijn is held for only a single weekend every December, and it manages to attract roughly 125,000 attendees. Yes, you read that right, 125,000. Some 900 local volunteers dress up in elaborate costumes to transport the mobs into the 19th century and play the parts of chimney sweeps, street urchins, bawdy ‘ladies of the night’, Ebenezer Scrooge, and even Queen Victoria. Many of them have even been participating every year for decades. If you go, just watch out for the gentlemen who blast through the crowds on unwieldy but period-authentic bicycles. The city’s small museum devoted to the famed British author is also open year round but only on Saturdays. If you only eat one thing in Deventer, it should be a Deventer Koek. These honey cakes are one of the city’s most cherished traditions. The recipe dates back to at least the 16th century, and its specifics remain a closely guarded secret. You can buy one, or several, of the cakes at the Deventer Koekwinkel. If you’re looking for something more savoury, try out Fooddock. 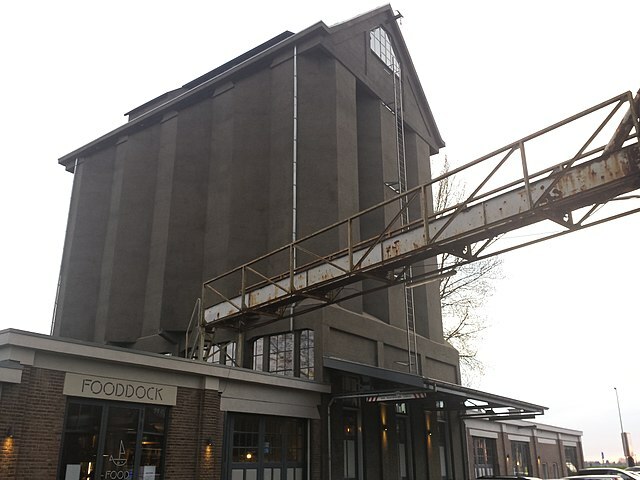 Housed inside a former salt warehouse, it was the first food hall to open in the eastern part of the country. There you can dig into a variety of sustainable and locally produced items. It’s a great spot if you’re in the mood for variety, or a quick lunch or dinner. Check out Restaurant El Popo, a Mexican cafe along the Brink, if you enjoy vibrant dining experiences that can become downright raucous. It caters to a young crowd with a healthy appetite for its extensive cocktail menu. Chez Antoinette is a quieter and more romantic cafe with a Portuguese/French menu. Mr. & Mr. Espressobar is a great place to pause for a midday cappuccino or an Americano. De Hip is a good spot for drinks and live music after dark or a beer out on the terrace when the weather is behaving. Bierencafe De Heks is a downright magical beer bar with a lengthy list of imports and domestic brews. It’s beloved by locals and visitors alike. Just look for the witch on her broomstick attached to the wall over the tables out front. Hotel Gaia is located outside of the city on a gorgeous 19th century estate. It has two eateries, a spacious outdoor terrace with a great view of the surrounding countryside, and several cycling and walking routes. Grand Boutique Hotel House Vermeer sits in a 19th century house. It’s one of the country’s smallest four star hotels and has 11 rooms along with an on-site restaurant and lounge. There’s also the more modern Postillion Hotel Deventer. A train journey to Deventer from Amsterdam Centraal takes between an hour and ninety minutes. Getting there by car from the city typically lasts about as long. Deventer can be a madhouse during both the Dickens Festival in December and the book fair in the summer. Deventer Op Stelten, an annual outdoor theatre festival in July, can also get chaotic and attract over 100,000 attendees. If you aren’t big on crowds, try one of the city’s smaller festivals (here’s a link to Deventer’s events calendar for 2019) or visit during a quieter time of the year.